In reality, it can be a painstakingly 2 hour search for a movie we can either A) Agree on or B) Can actually stay awake through once the movie is picked. I mean unless you have an over-the-top Christmassy type of guy, then you're probably in the same boat I am. We try to watch the movies and bless his heart he does sit with me..but he's certainly not "there" haha. 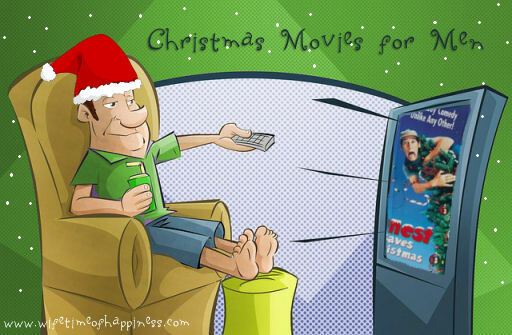 Well this year I've mustered up a plan to (hopefully) get our hubby's into the spirit, but maybe not so much the romantic-girly, predictable side of Christmas movies. 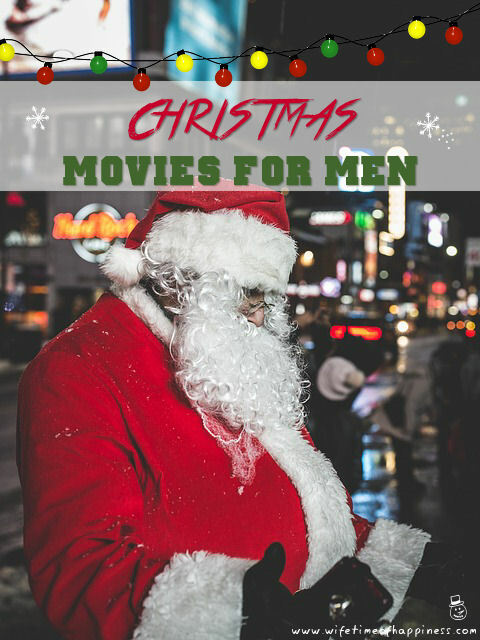 This list is going to be all about the "men" and Christmas movies that may hold their interest for an hour and a half or so. This list is all over the place, ranging from B list to Comedy to Horror. Some are classics and some are so-so…but that's the whole beauty of it. We're producing a wide range of options in hopes you'll find *something* to hold your other-halves attention. I don't make any promises..But hey, it's a start and hopefully turns out to be a win-win. I Ho, Ho, Hope you enjoyed this list and a very Merry Christmas to you and yours!